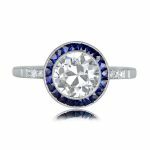 An exquisite 1.33ct antique old mine cushion cut vintage engagement ring, featuring a stunning halo of old mine diamonds. 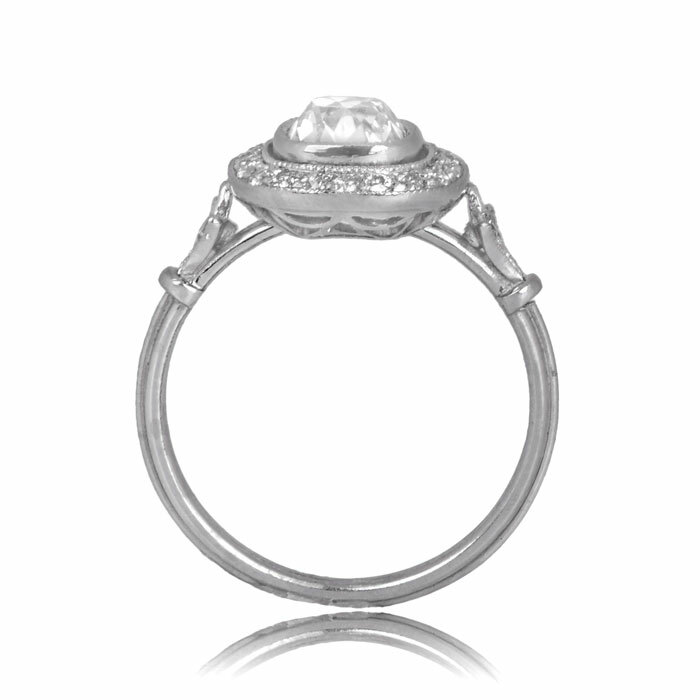 The delicate, triple-wire band of the ring and the fine filigree along the lower gallery has been expertly hand crafted from platinum. 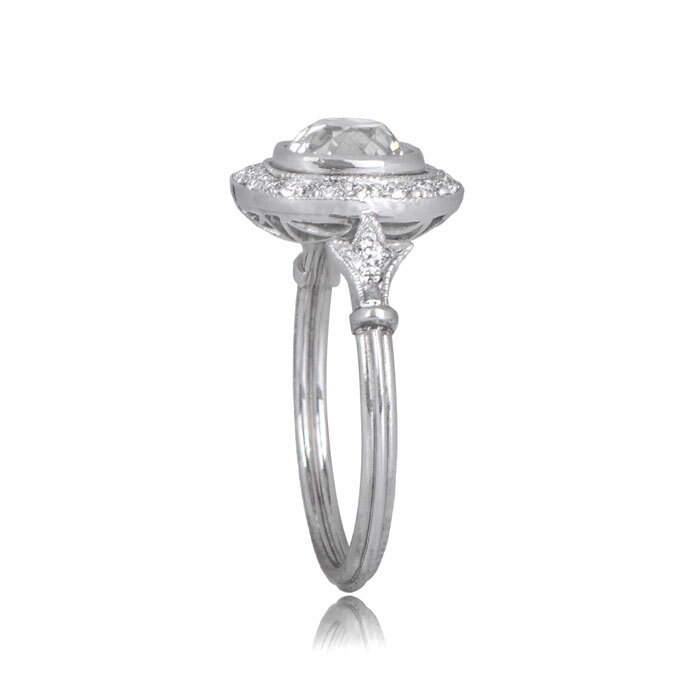 The additional diamonds weigh approximately 0.44 carats total. 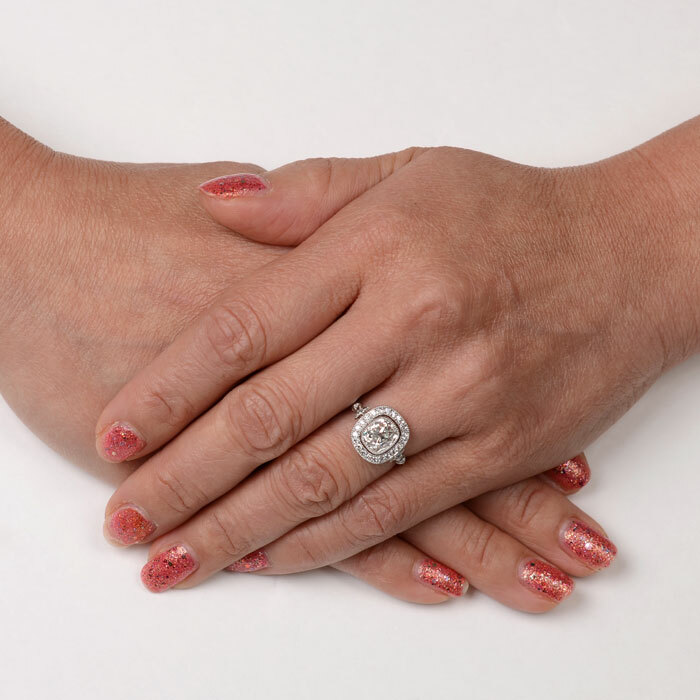 The approximate total carat weight of this ring is 1.77 carats. The center old mine cut diamond is dated circa 1925, and is approximately J color and VS2 clarity. 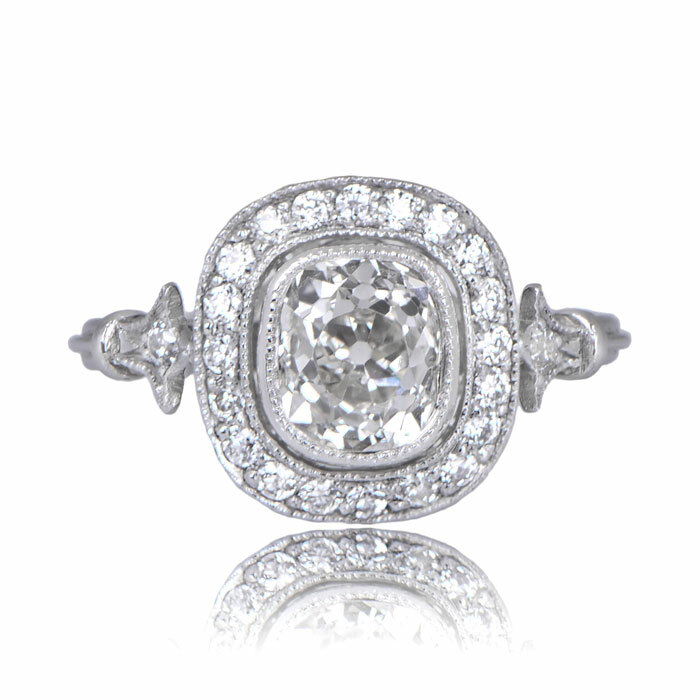 The measurements of this ring with the diamond halo is 11.72mm x 11.06mm. 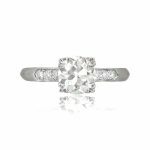 SKU: 11749 Categories: Cushion Cut Engagement Rings, Old Mine Engagement Rings, Vintage Engagement Rings - Contact us and request additional pictures.